Made from human grade ingredients and produced in hygienic conditions. 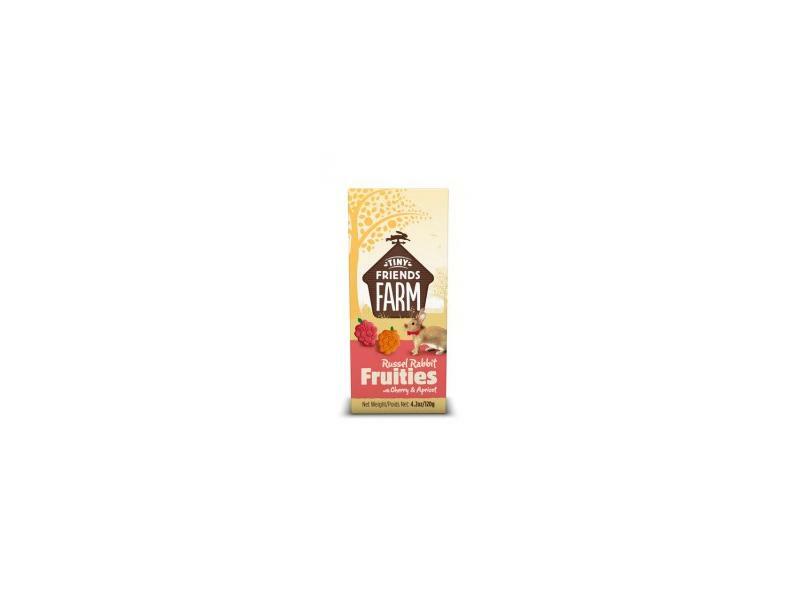 These treats have been specially designed to suit rabbits, and features ingredients preferred by rabbits. Cruncher Treats are a tasty and nutritious crunchy treat packed with vegetables that your rabbit will love. Flour, oats, vegetable oil, sugar, wheat middlings, carrot (min 1%), pea (min 1%), bran, coloured with EC additives. Wheat flour, oats, whole wheat flour, vegetable oil, sugar, wheat middlings, carrot (min 2%), coloured with EC additives. Flour, oats, vegetable oil, sugar, cherries (min 2.5% in white biscuit), apple, raspberries, apricots (min 1% in orange biscuit), coloured with EC additives. There are currently no questions for Supreme Tiny Friends Farm Russel Rabbit Munchers - be the first to ask one!